Do you want to direct more traffic to your new or existing website, but don’t want to spend ongoing hours to do so? 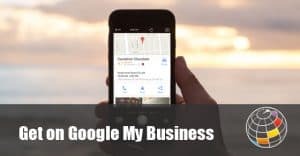 Why not use Google My Business? Did you know that businesses that have listed their information with Google My Business are twice as likely to be considered reputable by consumers? You are opening another channel of communication. 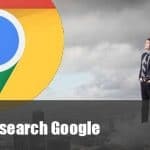 Google is the most popular search engine with 70% – 90% of the global search engine market share, you, therefore, know how important it is to be prominently ranked in the Google search engine. When it comes to getting noticed in the search engine results pages (SERPS) there’s more to just working on your search engine optimisation (SEO). Posting your business on Google My Business means your customers and clients can find you more easily through Search, Maps, and Google+. Google My Business doesn’t just serve traditional businesses with a storefront. You can also sign up and add the area you serve or just details of your brand. What does Google My Business look like? Have you noticed when you type in a company name or a search term into the Google search bar you often find a smart company profile to the right hand side of the page which may show a logo, pictures and information on that company such as contact details, web address, hours, etc? Well, that profile was taken from Google My Business. You’ll need a Google account. If you’re already using a service like Gmail then you are good to go, if not sign up here. Choose your listing type i.e. retail, service, product, etc. What if you’re business operates online only or from a home address? Once you’ve added your business you can then choose not to display your physical address. If you don’t want to enter your address, then choose the area that your serve. Once you’ve completed the above steps you will need to verify your business listing to prove your address. Depending on your business type, this usually takes place by mail verification. While you are waiting for your verification from Google, start on setting up your business page. This is your opportunity to build your profile by adding your contact information, hours of operation and upload a selection of relevant, current photos. Once your account has been verified, you can find out how often your listing has been viewed through the Insights tool. As a verified account holder, you can also read and respond to reviews left for your business. Once your My Business profile has been created, it is easy to manage and update through the My Business online dashboard, on either your desktop or mobile device. Download the apps for Android and iOS devices to make your life easier and your Google My Business profile accessible wherever you are. Aim to have as much data as possible about your business in Google My Business. The more information you add to your profile, the more Google’s search algorithms will have to work with in terms of ranking. Add keywords, search terms and use photos that best represent your business and the work you do. Keep your Google My Business listing fresh by sharing your blogs, news, events and other important updates taken from your Google+ page. Make sure you keep on top of your reviews and are responding to them. Understand how your visitors interact with your business and your posts by taking advantage of the custom insights, Google Analytics reports and integration with AdWords Express. Google My Business is a free service from a market leader and is easy to setup. It is a must to be listed on it.